Views to The Washington Monument and US Capitol. Host private events, cocktail hours, luncheons - or just go to lounge mid-day. WiFi enabled, areas for multiple meetings or gatherings. In 2019, the transformed Market Square Rooftop Terrace at 801 Pennsylvania Avenue will offer over 8,000sf of high-end space for private events, lounge areas, outdoor meeting space, and Instagram-worthy spots to relax and take in some of Washington's most prominent views. Flexible, dynamic and available anytime to Market Square tenants. 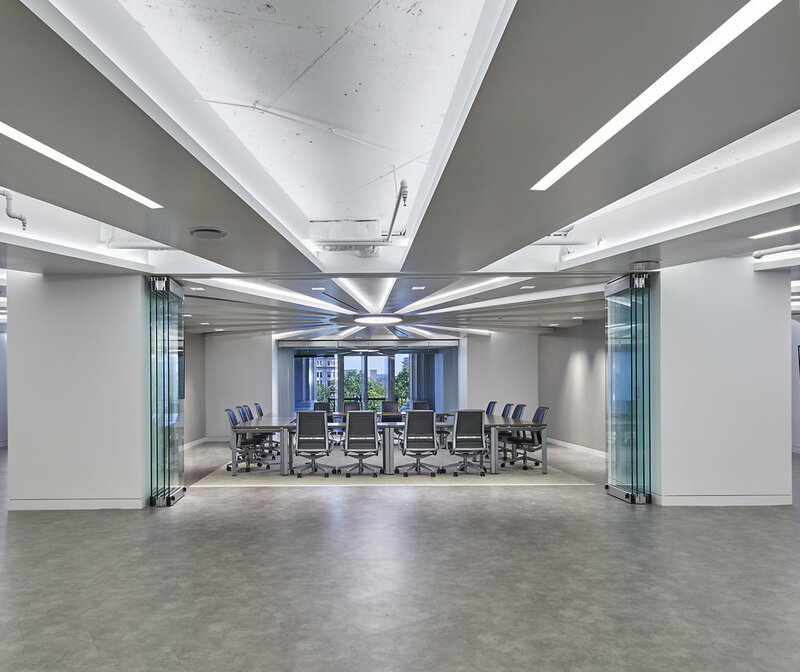 7,000sf of meeting facilities including 3 large boardrooms (each seating 56) that can be combined into one large room for 168. 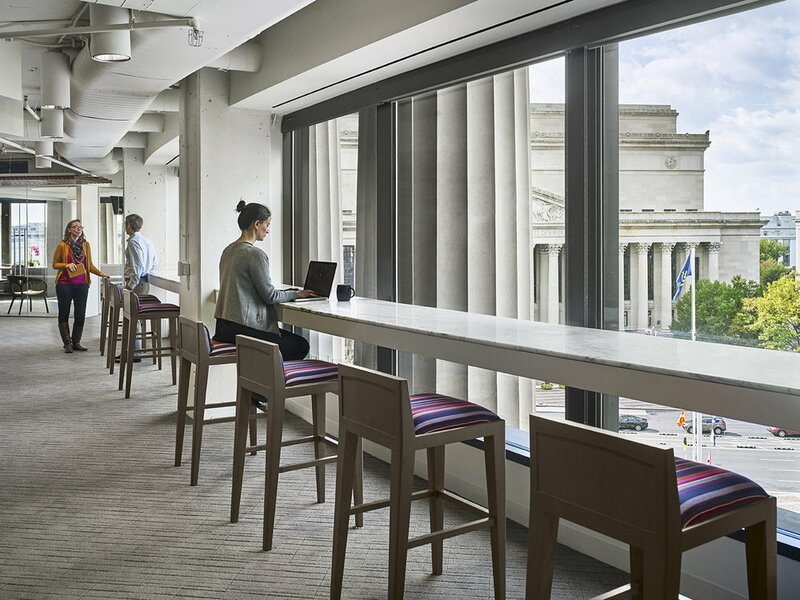 One of Washington DC's largest, the new office conference center at Market Square can be configured to accommodate an assembly/event, training class/seminar, or large conference. Plus breakout areas for private conversations, work areas, private lounge, dedicated reception and a communal pantry for catered events. Executive locker rooms; spin cycle studio; yoga studio; free weights; cardio zone. Explore DC's most popular running and biking routes and workout in the city's most luxurious fitness facilities.